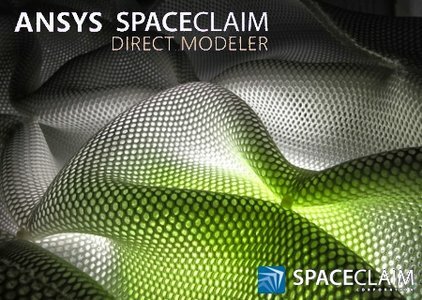 ANSYS SpaceClaim Direct Modeler (ANSYS SCDM) software is a new way to manipulate CAD models. The model becomes completely dynamic, allowing the user to move, stretch, add and remove with mouse movements. All changes to the CAD model occur in real time on the screen, providing instant feedback on a design. This functionality will work with existing CAD from third party systems as well as CAD that was built directly within ANSYS SCDM. The user can also dimension these changes, resulting in a parametric CAD model from non-parametric imports. For example, an IGES file can be imported into ANSYS SCDM and moved as if it was fully parametric. This type of geometry creation and manipulation is known as direct modeling and ANSYS SCDM connects to the ANSYS Workbench platform to allow rapid design changes and updated simulation results. Up-front design optimization becomes quicker and simpler with ANSYS SCDM.